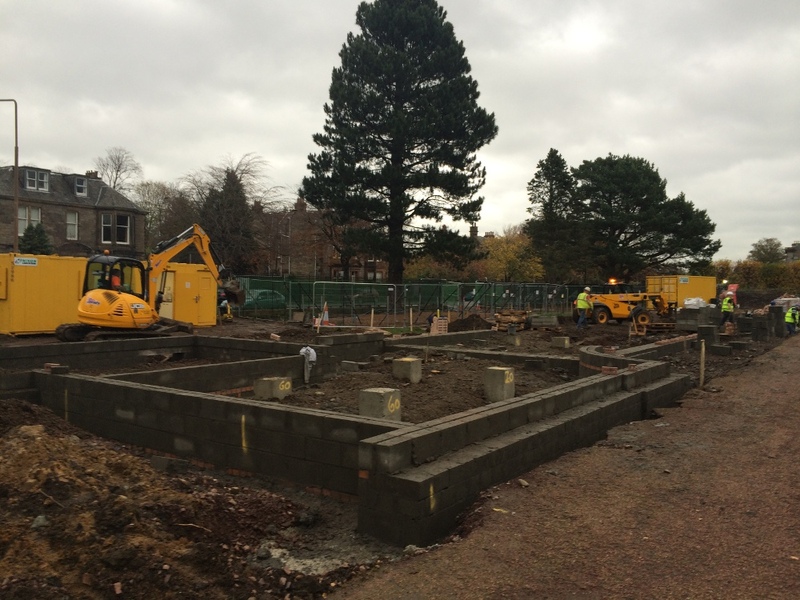 Excavation of the Botanic Cottage site. ‘Lost Treasures, Hidden Histories and Audaciousness Personified: Rebuilding the Botanic Cottage’ was the inspired title of Sutherland Forsyth’s talk at the AGM of the Friends of Hopetoun Crescent Garden on 19 October. Sutherland, community engagement officer at the Botanics, related with aplomb the history of the Garden Cottage from its 18th-century origins to its recrudescence as a place of learning and a ‘time capsule of the history of the garden’ at the north end of the Botanics, facing the Demonstration Gardens, which will be reworked. Thanks to John Ross McLean, Spurtle contributor and FHCG member and yes, you did read it first in the Spurtle!